I would love to have a date tree in my back yard. How awesome would that be? Very. 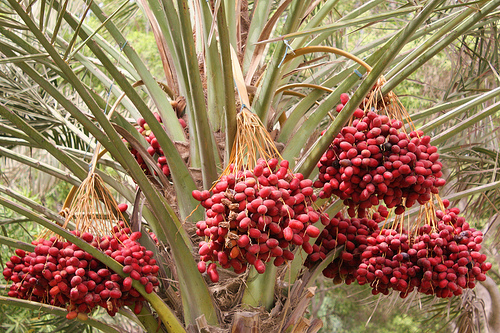 Dates are a fruit born from the Date Palm tree. These trees can range from 49 ft – 82 ft tall. Humongous!! There are many varieties of dates, my favorite are Medjool. These are usually large, moist, and sweet. Dates are a great source of natural sugars, potassium, protein, fiber, and trace minerals such as: boron, copper, cobalt, fluorine, magnesium, manganese, selenium, and zinc. Wowsers! That’s a serious profile in a small package. What can you use dates for? 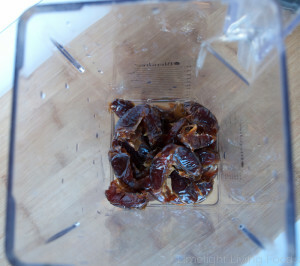 Remove dates from their soak water and place in a high speed blender or food processor with 1/3 cup water. 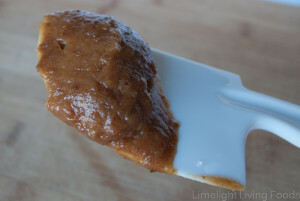 Blend on high until a paste is formed. Sides of food processor or blender may need to be scraped down in between. What can you use a date paste for? Have you ever tried a date? If so, what is your favorite way to eat them? do you use fresh raw dates or dry for the paste!? I think they’re definitely considered the dry dates (like what you can order on amazon or at the super market).